The Model 50P lab filter is for filterability and scale up studies. Each of these units is constructed of polycarbonate for filtration up to 30 PSIG. ErtelAlsop Cylinder-Type Laboratory Filters are available with capacities for polish and cake filtration. The Model 50P provides 50 cm² of filtration area and 270 ml of volume. It is light and perfect for transporting. The cylinder is available in both 25 mm and 50 mm heights to allow for different cake heights. It is ideally suited for use with a peristaltic pump and liquids that require the use of filter aid, such as Celpure® Diatomaceous Earth, to provide the required clarity of the finished product. 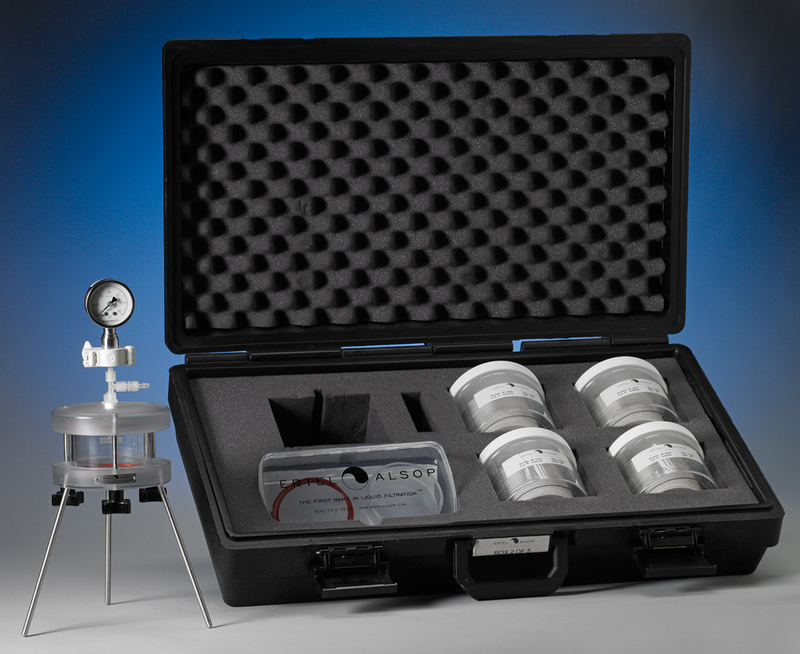 The Application Optimization Kit (AOK Kit) is the simple solution for all your 50P Laboratory Filter needs. 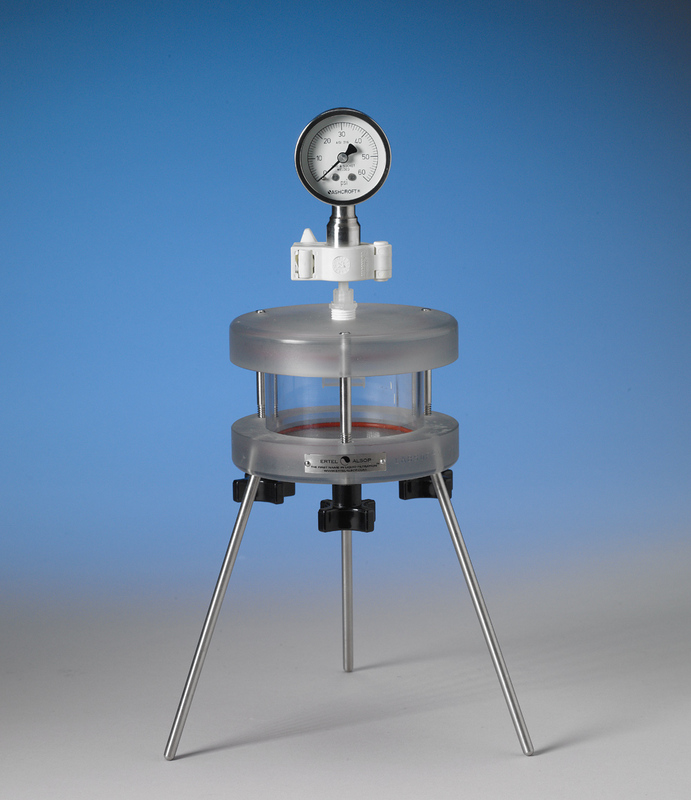 The ErtelAlsop Model 50P Laboratory Filter is constructed of polycarbonate for filterability and scale up studies. It is available with capacities for polish or cake filtration up to 30 PSIG. The Model 50P provides 50 cm² of filtration area and 270 ml of volume. The AOK kit is lightweight and perfect for transporting. The cylinder comes in 25 mm, for polish filtration, and 50 mm to allow for different cake heights. It is ideally suited for use with a peristaltic pump and liquids that require the use of filter aid, such as D.E.